Posted on December 1, 2016 at 10:47 am. Rumoured Tabcorp bid by British gambling company Ladbrokes. A rumoured bid for Tabcorp by Ladbrokes could prevent the development of a strong competitor against international companies by two Australian gambling giants. 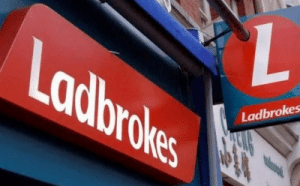 British-based bookmaker and gambling company, Ladbrokes Coral, may be preparing a bid to acquire one of Australia’s biggest gambling companies, Tabcorp Holdings. Following the announcement of a billion dollar merger between Tabcorp and Australia’s lottery giant Tatts Group, reports have claimed Ladbrokes will place a “multi-billion pound bid” to acquire Tabcorp. It is said advisors have been appointed to develop an appropriate proposal. It has also been reported the British gambling company want to place the bid before the Tatts-Tabcorp merger goes through so it can have a say in the proposed union, with suggestions Ladbrokes isn’t interested in acquiring Tatts. This comes after Tabcorp has pushed the deal along, securing 10 per cent of Tatts shares just last week. If the bid is places and considered, not only would the potential tie-up of the two Australian gambling giants be scrapped, the goal of creating an Australian business which could compete against international operators is disposed of too. Tatts Chairman, Harry Boon, commented on international organisations vying for Australian companies, noting the Tapcorp-Tatts merger creates an opportunity to fight back. “The offshore bookmakers have been consolidating and have been penetrating our domestic market,” he said. The regulatory approval would be quite complex due to the international nature of the transaction and this does raise questions as to whether it is just a rumour. But it doesn’t come as a surprise with a bid placed by Ladbrokes back in 2013 for the Australian bookie, though former employee of Ladbrokes and current CEO of Tabcorp, David Attenborough, rejected the bid. Ladbrokes is no stranger to the Australian market, acquiring online bookie Bookmaker.com.au in 2013. Additionally, Tabcorp entered the UK market just this past August when it teamed up with online betting company Sun Bets. Despite the 10 per cent acquisition of Tatts shares by Tabcorp, the $11.3 billion merger between the Australian gambling giants is facing a large amount of scrutiny from the Australian Competition and Consumer Commission (ACCC). This could leave an opening for Ladbrokes to step in and nab Tabcorp. Unfortunately, this would mean any Australian position in the global gambling market would drop so we’re crossing our fingers the Tabcorp-Tatts merger gets the green light instead. For our readers interested in finding a solid online betting site, check out BettingSite.com for the latest online bookmaker recommendations, reviews and sports and racing industry news.